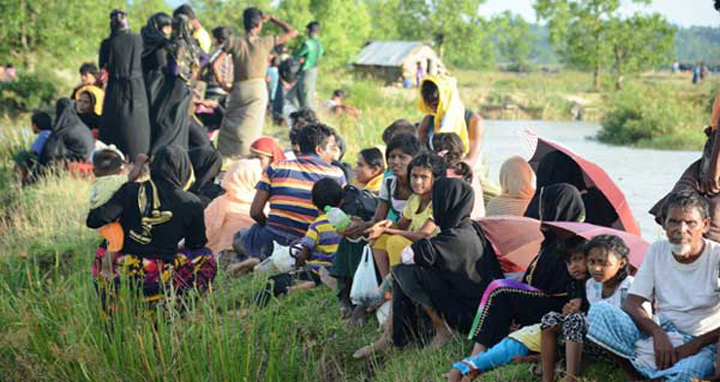 Dhaka, 19 May, Abnews: Border Guard Police (BGP) of Myanmar on Saturday started asking Rohingya people, staying on no-man’s land along the Tombru border point in Banbarban district, to leave the area. Around 4,500 Rohingya people have been staying on the no-man’s land of the border, said Din Mohammad, a leader of Rohingya people. BGP started asking the Rohingyas through loudhailers in the morning to leave the border area and enter Bangladesh, he said. Nearly 700,000 people, mostly Rohingya women and children, have fled violence in Rakhine State, Myanmar and taken shelter in Bangladesh since August 2017.